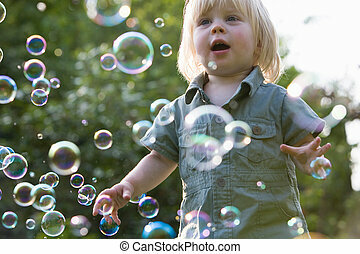 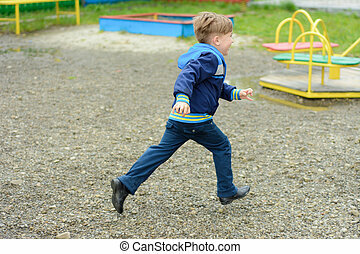 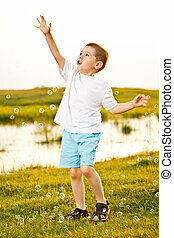 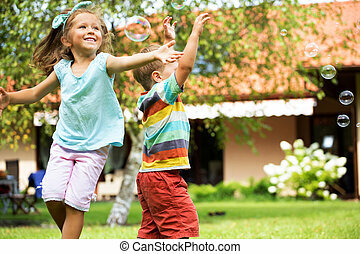 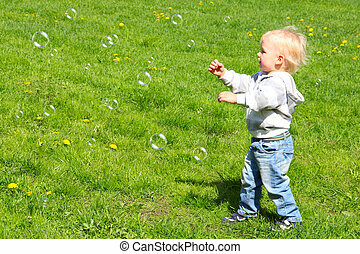 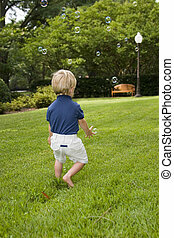 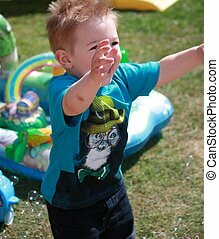 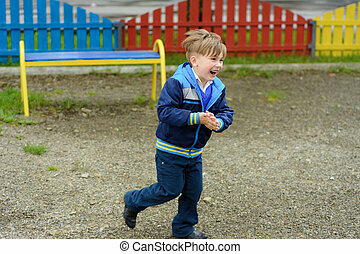 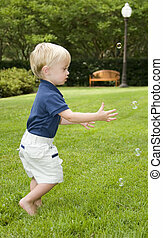 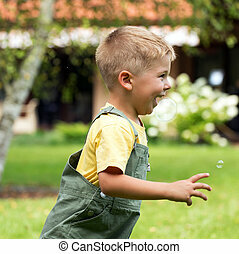 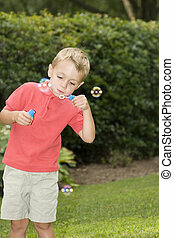 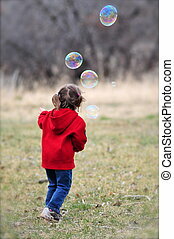 Child chasing bubbles. 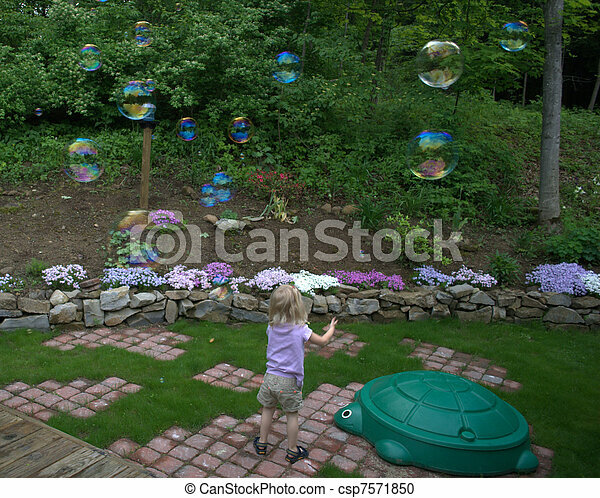 Little girl chasing large bubbles in the yard. 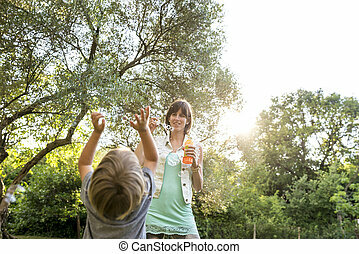 Happy smiling young mother blowing soap bubbles playing with her small child, with its back to the camera, outdoors backlit by the rising sun over treetops. 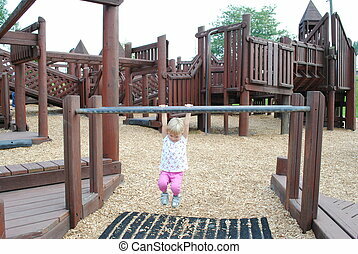 Child hanging on the bar at the playground. 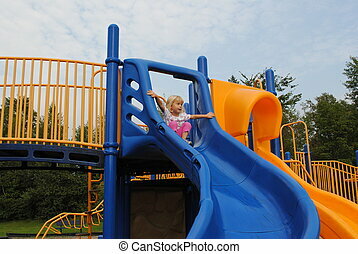 Small child getting ready to slide down the big slide. 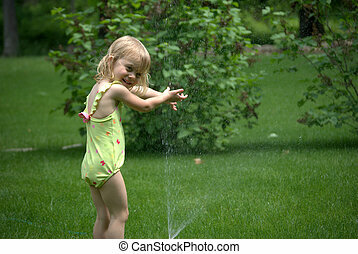 Little girl getting used to the cold water in the sprinkler. 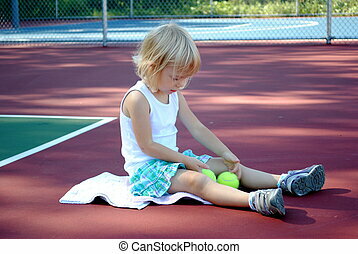 Little girl gathering tennis balls and sitting on the tennis court. 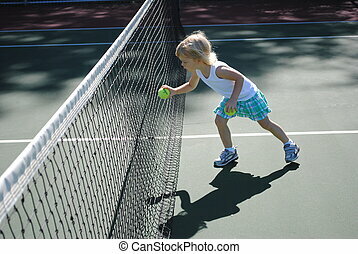 Little girl playing on the tennis court with ball. 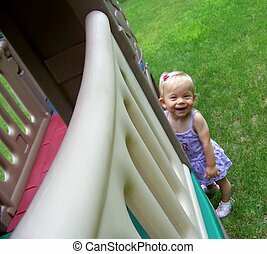 Little girl loves playing outside and making funny faces for the camara. 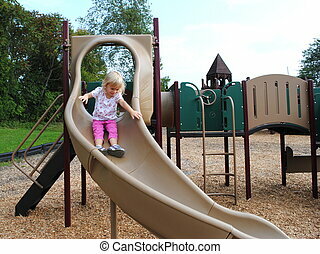 Little girl having fun sliding. 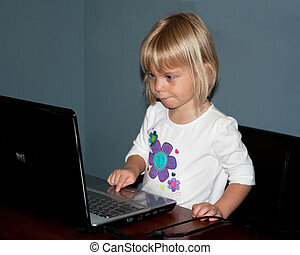 A three year old girl loves playing video games on the computer. 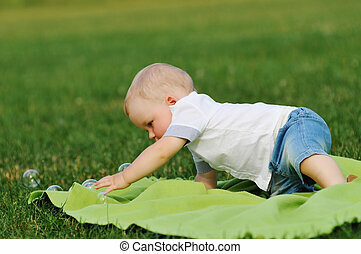 Found something on the ground to look at. 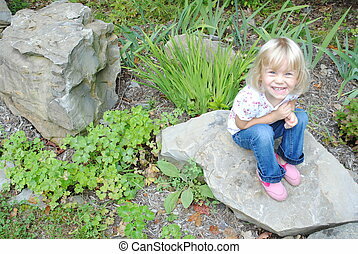 My Granddaughter poses so nice for me. 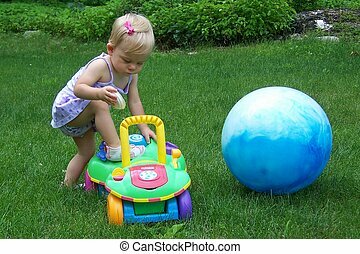 She is trying to get the ball to stay on the toy car. 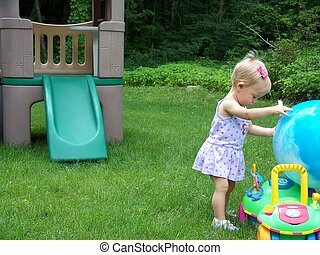 Getting ready for someone to come push her around the yard. 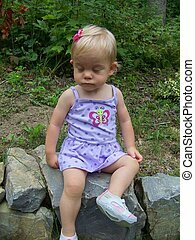 She loves to play hide-and-seek. 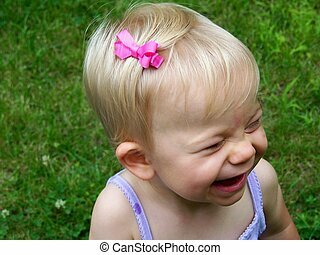 A pink ribbon and lots of giggles. 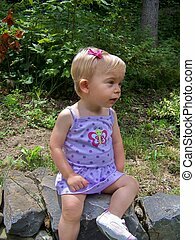 That\'s my Granddaughter. 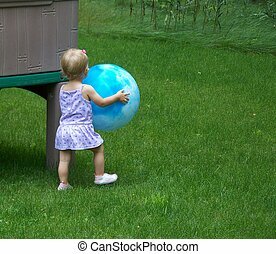 She took her ball and is trying to hide from Gram.